Each year, ABTA's Travel Trends report identifies 12 destinations to watch, based on the best insider knowledge. If you're inspired to visit one of these exciting destinations, or anywhere else in world, let us know and we'll help you fulfill your travel ambitions. British holidaymakers have been heading off to Andalucía in Southern Spain since the 60s but recent investment has rejuvenated this old favourite and it offers year round treats with one of the best climates in Europe. People will find it easier than ever to visit Andalucía in 2017, with new regional flights to Malaga offered by Thomas Cook, Jet 2 and Ryanair. 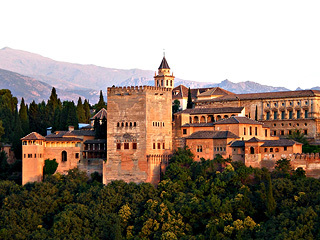 The region has some of the most fascinating cities in Spain which revel in their Moorish heritages. The Mesquita in Cordoba, Alcazar in Seville and Alhambra in Grenada all offer a tantalising glimpse of an exotic world of stunningly beautiful palaces and mosques. Malaga is the main gateway airport into Andalucía, and holidaymakers would be well advised to spend some time in the town which has its own Moorish palace and a port area, and has had a recent makeover. Andalucía also has some of the best beaches and hotels in Spain, with high temperatures lasting well into October. Andalucían cuisine is delicious, with rabo del toro - oxtail stew - being the signature dish of the South. The area's cuisine will be showcased in 2017, with the city of Huelva being recognised as the Gastronomic Capital of Spain 2017 and a true paradise for foodies! 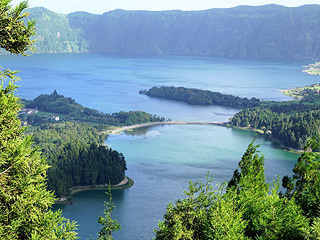 Visitor numbers to the Azores increased by a third in 2016 with more and more holidaymakers wising up to the incredible delights of these unspoilt Atlantic islands. The Azores benefit from a year round mild climate, dramatic volcanic landscapes and seas teaming with dolphins, whales and manta rays. The nine islands of the Azores are slowly opening up to larger numbers of tourists, following the introduction of direct no-frills flights in 2015. Visitors to the Azores will find themselves in a dramatic landscape with black sand beaches and beautiful small towns and villages that feel like stepping back to a gentler time. The islands are also an activity lover's delight where people can hike and mountain bike down country lanes fringed with hordes of azaleas and hydrangeas, or hike up dormant volcanoes. At sea, nature lovers will be in for a treat - they can go whale watching, swim with dolphins or dive with manta rays. Holidaymakers to the islands will be very pleasantly surprised both by the quality and low prices of the local food. Try the Portuguese tapas, petiscos, and the excellent local beer and wine. Visitors will find a warm welcome on this beautiful island renowned for its pink-sand beaches and turquoise waters. Bermuda is truly a slice of how the other half live. This beautiful island is actually a string of 181 islands which are dotted with delicately painted houses and impressive mansions. Bermuda's colonial past means that it benefits from a rich cultural mix of British, North American, African, Portuguese and West Indian influences. The islands' warm and welcoming climate means that they are full of fragrant frangipani and bougainvillea flowers and the turquoise waters provide a rich variety of sea food. 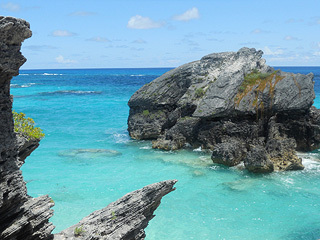 The islands are fringed with reefs which make Bermuda one of the leading sites in the world for diving. The reefs have resulted in many dramatic shipwrecks, which attract one of the Sargasso Sea's most regal fish, the barracuda, the tiger of the seas. A long, narrow country stretching along South America's western edge, it packs some incredibly diverse landscapes into its 4,000 km length, including volcanoes, forests, glaciers, fjords and the massive mountains of the Andes. 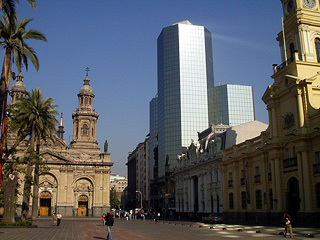 The capital, Santiago, is a delightful mix of sophisticated old world charm, high quality museums and a buzzy nightlife in the Barrios Brasil. Chile's main appeal is its countryside which is remarkably unspoilt and in a largely pristine condition. Due to its size, Chile is incredibly diverse, ranging from the arid Atacama Desert to the immense glaciers of Patagonia in the South. The pace of life in Chile is slow and relaxed with the local people priding themselves on their hospitality to strangers, shared over a glass of mate tea or high quality local wine. Chile is also the perfect base for a flight to Easter Island (Rapa Nui to its native Polynesian inhabitants), with its 900 logic-defying, enigmatic Moai statues staring out to sea, some of the world's greatest cultural treasures. The world's eyes will be on beautiful County Kerry as the latest Star Wars movie features the stunning County's Skellig islands. So come and feel the force and share the craic in one of the most magical and hospitable spots in the world. 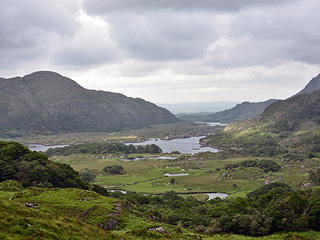 County Kerry has long been regarded as one of - if not the - most beautiful spots in the Irish Republic. The intense greens of the landscape, the tranquil beauty of its lakes, soaring mountains, sweeping golden sands and dramatic sea cliffs, once seen are never to be forgotten. Travelling around the county is best done via two drives; the Ring of Kerry which travels through the Iveragh peninsula, and the Dingle peninsula whose wide sandy beaches have already featured in film in David Lean's epic, Ryan's Daughter. The island of Skellig Michael was home to early Christian monks whose beautiful beehive huts still dot the island. This rich cultural early Christian heritage is reflected throughout the county with ancient churches and Celtic crosses. On top of all this overwhelming beauty, the warmth, humour and hospitality of the Irish people is legendary, as is their ability to have a good time. Croatia's thousands of miles of coastline are dotted with pebble beaches, surrounded by crystal clear waters and pine forests. Its many islands range from isolated idylls to hosts of dance festival extravaganzas. Zagreb, Split and Zadar are increasingly seen as city break destinations in their own right. Dubrovnik on the Dalmatian coast remains the undisputed star of Croatian tourism with its picture perfect terracotta roofs, but savvy travellers are realising that it has a coastal rival in the north of the country in the Venetian town of Rovign in Istria. Istria has strong Italian roots which are reflected in its architecture and cuisine, but not in its prices. Croatia's ancient history is strongly represented with a magnificent amphitheatre in Pula and most impressive of all, the Unesco world heritage site, Diocletian's palace in Split. The capital, Zagreb, gives other European capitals a run for their money with its numerous and lively cafes, bars and restaurants, high quality museums, cultural events, beautiful parks and great nightlife. You can even use Zagreb for a skiing break with Mt Medvednica a short tram or bus ride away. Zadar is a quirky, fascinating destination, make sure to visit the sound and light installations of the Sea Organ and Sun Salutation. 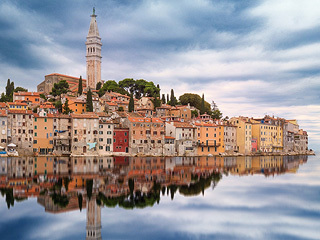 Croatia has over a thousand islands which are easily accessible by ferry, including Korcula, covered in forests and vineyards, and trendy Hvar. Denmark is most definitely having its time in the sun, with its attractive, user-friendly cities, affluent happy people, world-class cuisine and design - and the Danish art of hygge at play everywhere you look. 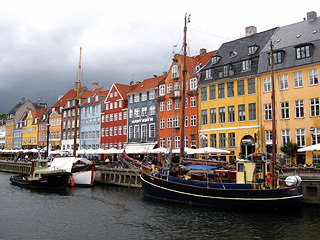 Denmark is often cited as one of the world's best countries to live in. The strong welfare state ensures economic equality in society and there is virtually no crime or corruption, while polls repeatedly show that the Danes are among the happiest people in the world. Hard to explain and even harder to pronounce (it sounds a bit like "hooga"), hygge roughly translates as the state of cosiness, creating a nice, warm atmosphere and enjoying the good things in life with friends and family. Picturesque Copenhagen is now known to millions as the location for numerous gripping Scandi noir thrillers and is home to some of the best restaurants in the world. New Nordic cuisine, music festivals, sandy beaches and fantastic architecture are just some of the reasons to book a trip this year. Blessed with a rich bounty of natural attractions - serene beaches, enchanting backwaters, tea-covered hill stations, lush green forests and exotic wildlife, the beautiful Southern India coastal state of Kerala offers a multitude of experiences for holidaymakers. 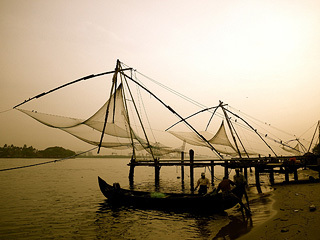 One of Kerala's most unique geographic features is an extensive network of backwater lagoons, lakes, estuaries and canals which snake through the heart of this South Indian state. A journey through these placid waters is best enjoyed in a luxuriously furnished Kerala 'houseboat', as the life of the local people, spice plantations and forests slowly unfold before you. The food on board the houseboats is freshly prepared, with coconut, prawns and delicately-spiced fish featuring heavily; it's a delicious and healthy mix. 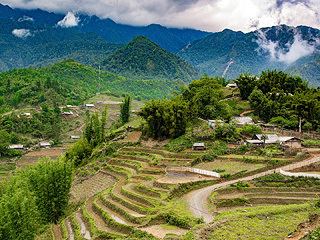 Other highlights of this state include the spice and tea plantations near the former British hill station of Munar and a wide variety of picturesque, palm-fringed beaches to satisfy the most die-hard sunseeker. The land is a true haven for travellers looking for the healing touch of Ayurveda, the 5,000-year-old system of medicine still practised to perfection throughout the state. Long stretches of outstandingly beautiful white sand beaches alternate with rocky headlands and walls of sheer cliffs, while the interior of the island offers awe-inspiring landscapes such as the peaks of the Gennargentu. 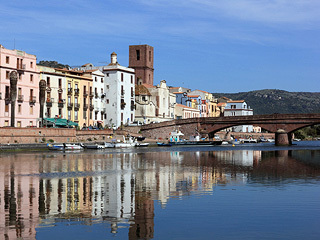 Europe's jet set have been heading to Sardinia's Costa Smeralda for years and its jaw droppingly stunning beaches and bays remain a great place for watching the beautiful and rich at play. Savvy travellers are advised to head east to the unspoilt and much less crowded beaches of Orosei Gulf or Cala Gonone, many of which are only accessible by boat. One of Sardinia's most beautiful medieval cities, Alghero is the main resort in the northwest and is full of shady cobbled streets, Gothic palazzi and café-lined piazzas. It makes an ideal base for exploring the beaches and beauty spots of the nearby Riviera del Corallo. Sardinian food and wine is superb, though you may be advised to steer clear of the cheese called casu marzu, with its own special ingredient, live maggots! South Africa is a David Attenborough series in one country with hippos, lions and penguins, deserts, jungles, pounding surf and spectacular flora all waiting to be experienced. 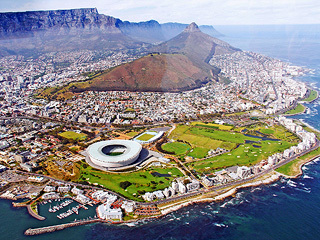 Cape Town is one of the most beautiful cities on earth with its spectacular location and the iconic Table Mountain in the background. The country has a number of national parks ranging from the savannah of Kruger National Park where you can catch sight of Africa's most magnifi cent beasts, to the iSimangoliso Wetland Park whose diverse habitats attract both dolphins and zebras. The Spring is one of the best times to go with very pleasant temperatures and the area of Namaqualand covered in millions of beautiful wild flowers. Hire a car and head off on the stunning garden route where you can stop off at high quality lodges and hotels offering great quality, good value cuisine. Don't forget South Africa's history with trips to the battlefields of KwaZulu or Robben Island where Nelson Mandela was imprisoned. Lastly, see another two sides of this stunning rainbow nation, knocking back a glass or two of homebrew in a shebeen in a township and a few glasses of chenin blanc or pinotage in the Winelands. Music lies at the very heart of the Southern States of America. Jazz, the Blues, Rock & Roll, Country and Bluegrass all have their roots here. Whether you're in the smoky mountains of Tennessee or the bustling French Quarter of New Orleans, music has shaped these states, resulting in a unique melting pot of cultures. The British travel industry is discovering the charms of the Southern states of America in 2017, with British Airways launching direct flights to New Orleans in March and Virgin Holidays offering tours to Elvis's home in Memphis, Tennessee as well as to Kentucky, home to Bluegrass and bourbon. The South is famed throughout the USA for the warmth and hospitality of its people and for its wholesome food, with specialities such as seafood gumbo and grits proving particularly popular. Whisky-lovers can explore Kentucky's Bourbon Country where they can experience the art of bourbon-making being practised much as it was 200 years ago. The Southern States are renowned for their incredibly diverse landscape, from the Mississippi in Louisiana to the rolling hills of Kentucky's Bluegrass Region, considered to be the 'horse capital of the world'. 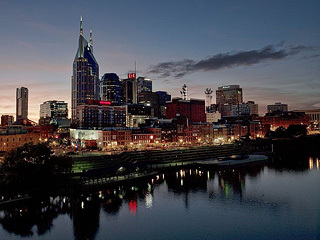 Must-visit sites on the music trail include Nashville, New Orleans, and the homes of Dolly Parton and Elvis. A country of contrasts, versatile Vietnam offers beaches, mountains, modern cities and ancient wonders. Forty years on from the turbulent conflict, Vietnam is going places - come and join the ride. The major cities of Ho Chi Minh City (Saigon) in the South and Hanoi in the North make ideal book ends for a trip. Hanoi's architecture reflects its colonial past and Ho Chi Minh City is an exhilarating assault on the senses. Away from the cities, stand outs include the majestic Karst limestone stacks of Halong Bay, the Mekong Delta and the spectacular cave system of Phong Nha-Ke Bang National Park. Riverside Hoi An is a beguiling town, famous for its talented tailors, fine foods and Japanese architecture. To understand more of Vietnam's recent history, don't miss the fascinating Cu Chi tunnels, which offer a look at the underground life of Vietnamese soldiers. Vietnam boasts a fantastic street food scene thanks to local, Chinese and French influences - try a bahn mi (baguette) or slurp on Pho.